I can’t remember the last time we had a year as good as 2017, in terms of the sheer number of excellent games. I played literally hundreds of games over the course of the year, with plenty of bonafide masterpieces among them. That all makes picking my favourite games of the year an especially daunting task. Where I’d normally do a top 10 or top 20, this year the best I could do was a 30 Best Games of 2017. Before jumping into the list proper, I want to give some special mentions to games that almost certainly would have made the cut, had I the chance to play them: Night in the Woods, Wolfenstein II: The New Colossus, Super Mario Odyssey, The Legend of Zelda: Breath of the Wild, Golf Story, Divinity: Original Sin II, Sonic Mania, and Tacoma. I’m looking forward to catching up on these this year, should 2018’s release schedule allow any room to breathe. I also want to give special mentions to a handful of excellent ports, re-releases, and updates, which I decided to exclude from the main list just to narrow things down a bit: Guilty Gear Xrd REV2, Hakuoki: Kyoto Winds, Final Fantasy XII: The Zodiac Age, Momodora IV: Reverie Under the Moonlight, Ōkami HD, and Dragon’s Dogma: Dark Arisen. With that out of the way, I give you Shindig’s Top 30 Games of 2017. The Hatsune Miku: Project DIVA series has a well-earned reputation as one of the best rhythm game franchises around, and Future Tone takes that to the next level. Based on an arcade game of the same name, Future Tone eschews the more peripheral game modes of previous games, like Diva Room and Live Quest Mode, in favour of a focus on the rhythm game at the core. 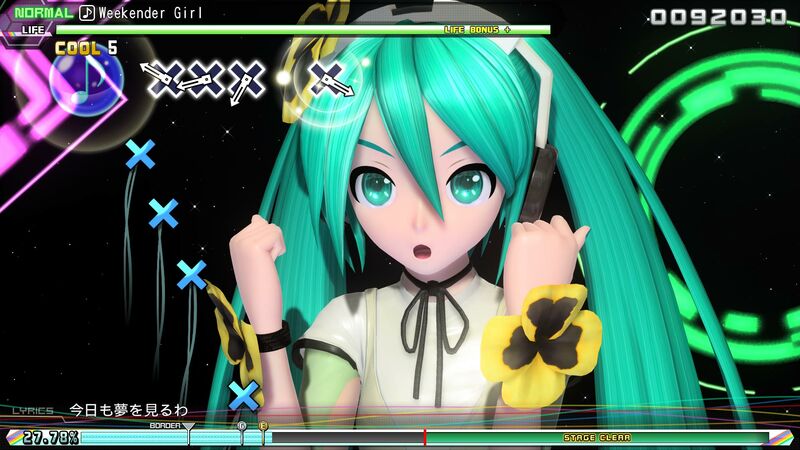 With 220 tracks in the base game, and more available through DLC, Future Tone is the most complete Hatsune Miku game around. All songs are available from the get-go, with no need to unlock them, so you can just dive in and play your favourites. The rhythm game itself is largely unchanged from previous Project DIVA games, though it has a few new ideas that raise the bar in an already challenging game. Make no mistake, this is one of the best rhythm games available, for PS4 or any platform. After being let down by Uncharted 4: A Thief’s End, which felt like a move away from the series’ strengths, Uncharted: The Lost Legacy is a return to form. It might just be the best Uncharted game since Uncharted 2, which is high praise indeed. Nate and Sully are nowhere to be seen; instead, The Lost Legacy focuses on the series’ real star, Chloe Frazer. 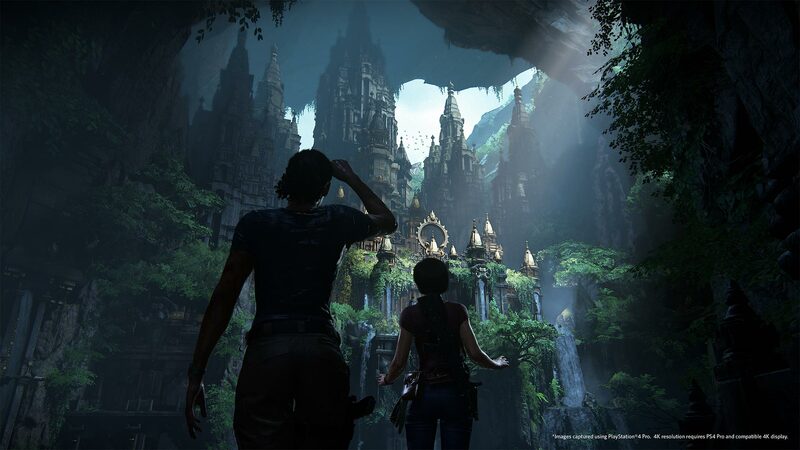 An unlikely partnership with Nadine Ross, one of Uncharted 4‘s villains, leads her on a journey in search of the Tusk of Ganesh, in turn leading Chloe on a personal journey through her Indian heritage. It’s a relatively brief adventure by AAA standards, and that’s to its strength: it tells its story with concision, without the bloat that you so often see in big-budget games. Let’s hope The Lost Legacy‘s creative leads get more opportunities like this, because they’ve more than proven that they’re up to the task. Little Red Lie is uncomfortable and confronting. It’s an unfiltered tearing down of the injustices of capitalism—something particularly relevant today—seen bleakly through the eyes of those affected by it. At one end of the scale there’s Sarah Stone, an “overeducated, underemployed” Millennial who’s living with her parents, at 38 years old, due to dire financial circumstances. At the other end there’s Arthur Fox, a wealthy businessman and motivational speaker who willfully exploits people to enrich his coffers. Neither is happy, albeit for very different reasons, and the dual protagonists lets Little Red Lie explore the failures of capitalism in a nuanced way. 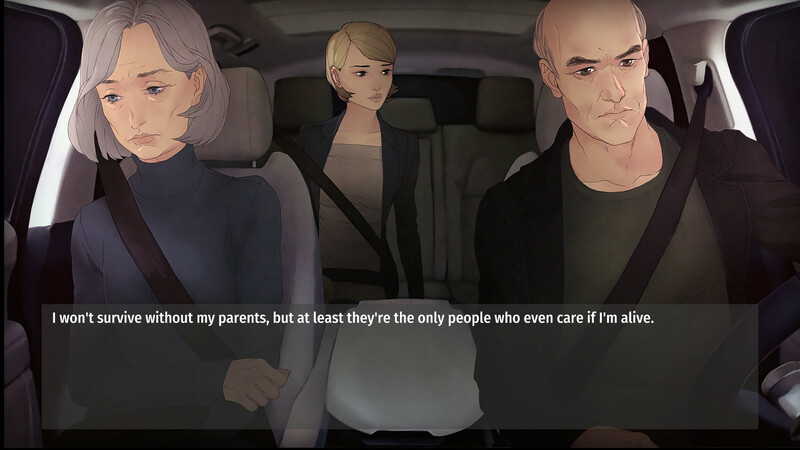 Like I said, it’s a bleak and confronting game, one that makes some nihilistic and even cynical assertions. I don’t necessarily agree with everything the game has to say, but in asking the questions it asks—and asking them as boldly and emotively as it does—Little Red Lie is a noteworthy game. I have a weird relationship with open-world games in that I often like that openness in concept, but find the games themselves lose focus and direction as a result. In that sense Yonder: The Cloud Catcher Chronicles is the anti-open world game; it’s the rare sort of game where the open world feels like it serves a purpose, and that doesn’t let itself it get bogged down in bloat. Yonder‘s also the rare sort of open-world game that has no combat whatsoever. The game’s attention is squarely on things like exploration, gathering, crafting, and farming, which all serves a bigger narrative theme of fending off a dark curse through collaboration and cooperation. 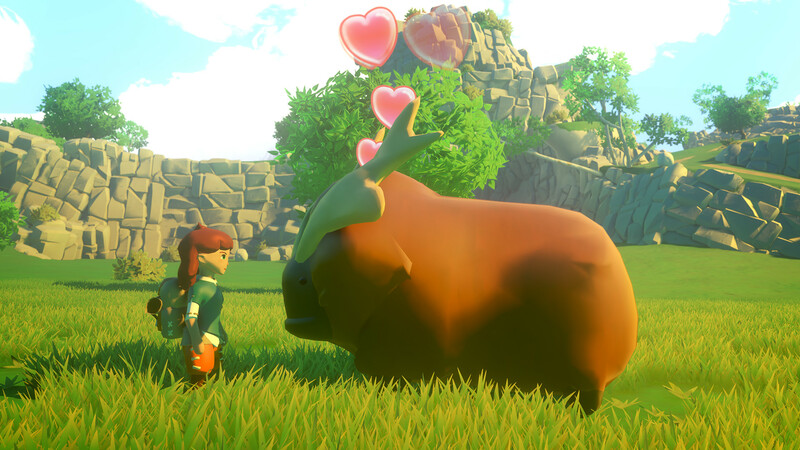 Yonder: The Cloud Catcher Chronicles is cute, relaxing, refreshing, and a boatload of fun, which aren’t words I ever thought I’d use to describe an open-world game. For all the criticism they received about being “repetitive button-mashers”, the Samurai Warriors games do a fantastic job of portraying the events of the Sengoku era. That’s even more true for Samurai Warriors: Spirit of Sanada, a spinoff that focuses on the Sanada clan and, as a result, goes a lot deeperthan the main series ever could. 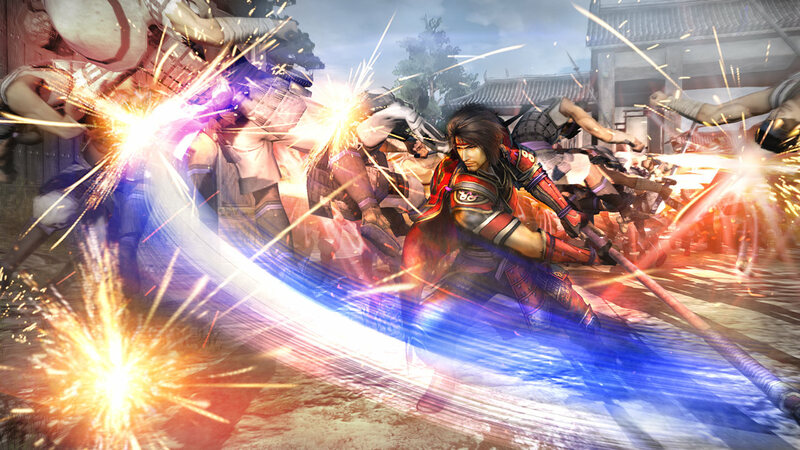 Spirit of Sanada plays more or less the same as any other Warriors game, with light tactics and RPG systems layered over frenzies hack and slash action, but the story it tells is a more intimate and and personal affair. It traces the rise and fall of the Sanada family across three generations, with all the love and drama that comes with that. It’s a bit of a surprise that Spirit of Sanada got a Western release, considering it was originally conceived as a tie-in to the Japan-only NHK drama Sanada-maru. I’m glad we did get it, though, because this is a high point in the Warriors franchise. After people became understandably tired with the annual nature of Assassin’s Creed releases, Ubisoft decided to take a year off after Assassin’s Creed Syndicate and really focus on making the next game as good as it can be. It’s a gamble that paid off, because Assassin’s Creed Origins—despite its uninspired title—is exactly the refresh the series needed. In some ways, it’s a return to the series’ roots: a return to a Middle Eastern setting, a focus on bringing history to life in a captivating and interactive way, and an emphasis on creative stealth tactics over open combat. In other ways, it pushes the series forward, with heavier RPG elements, a delightful new scouting system by way of a companion eagle, and a more compelling cast of characters. 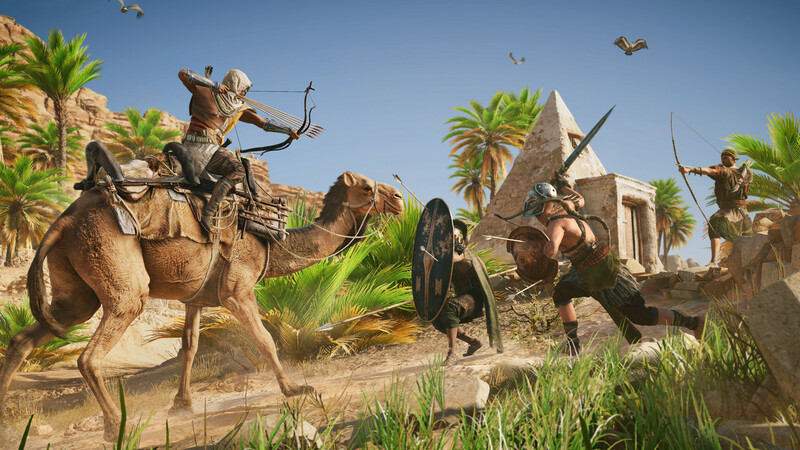 Origins still suffers from the map clutter that’s become typical of Ubisoft open world games, but that’s worth putting up with for this stunning realization of Ptolemaic-era Egypt. Molemen Must Die started development as something of a joke; an absurdist look at a Trump presidency that, early in 2016, seemed too insane to be possible. It turned out to be depressingly prophetic, but that made this game’s brand of oddball humour and bleak satire more important than ever. The game sees you trying to guide a bomb to the centre of the earth on behalf of a pathetic, egotistical, violent maniac of a President, as retribution for an insult from the Mole King. 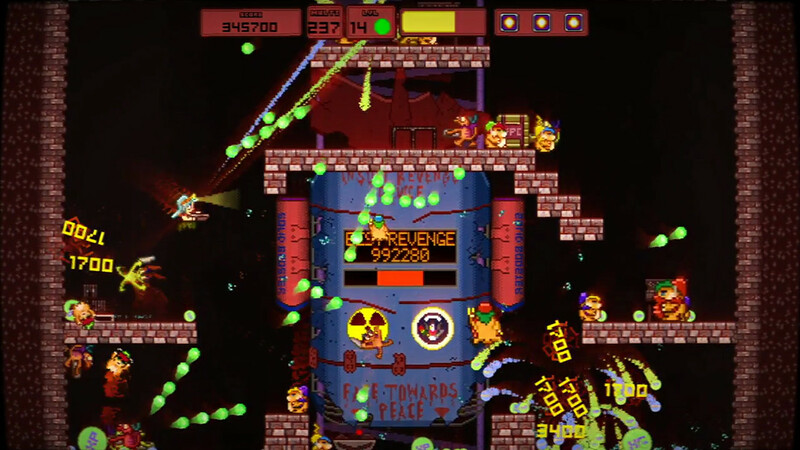 Swarms of moles try to stop you, and you fight them off in frantic, over-the-top arcade shooter action. Here’s the catch, though: the game is endless, and you can’t actually “win”; all you do is destroy huge swathes of the planet when the bomb inevitably gets destroyed. There’s no victory in an arms race, and everybody loses when a short-tempered egomaniac is in charge of the nuclear codes. Maybe Trump should play this game and learn something, instead of continually pushing us towards World War III? 1bitHeart is easily one of the best-looking games of 2017, thanks to the distinctive, enthralling art style of Miwashiba. Their use of pastel colours and low-key futuristic aesthetic gives their a look and feel that’s unlike anything else out there. That alone is reason enough to check out 1bitHeart. But there’s so much more to this game, too. It’s the story of a socially anxious young boy who, after a chance encounter with an amnesiac girl, sets out on a quest to make friends. 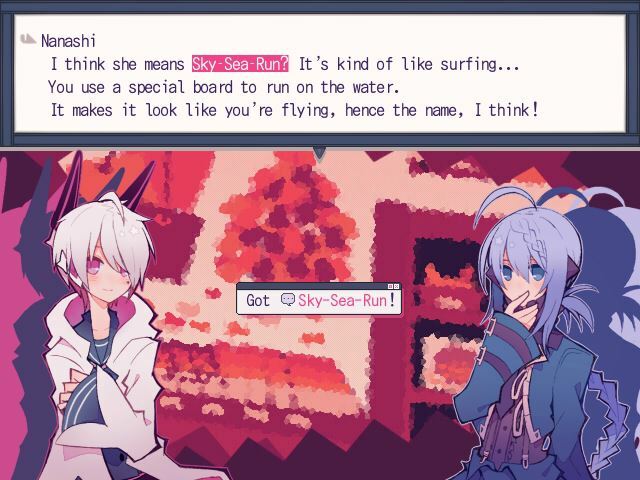 There’s a more complicated plot wrapped around that, involving time travel and hacker gangs, but the heart of 1bitHeart is still in the Nanashi’s journey to overcome his anxiety. The game cleverly builds on RPG and adventure mechanics to tell that tale, and it all builds up to one of the most heartwarming endings of any game this year. 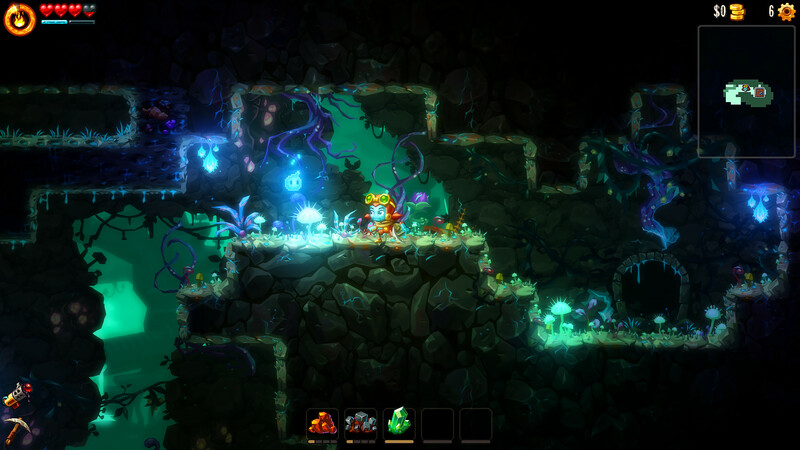 SteamWorld Dig’s platform mining action was one of the best surprises of 2013, and SteamWorld Dig 2 built on that greatness in every way. The basic concept is still the same—dig your way through the world in search of treasure, upgrades, and answers for some mysterious goings-on—but the world is bigger and more varied, with a better range of upgrades and a more Metroid-like structure. Dorothy makes for a great steambot hero, and the rest of the cast is every bit as colourful as you’d expect from a SteamWorld game. The story, though simple, still manages to be compelling from start to finish, but it’s that sense of exploration that really carries the game through. I doubt I’ll ever 100% complete SteamWorld Dig 2 thanks to some post-game challenges that are borderline impossible, but the fact that I keep going back and trying is testament to this game’s success. 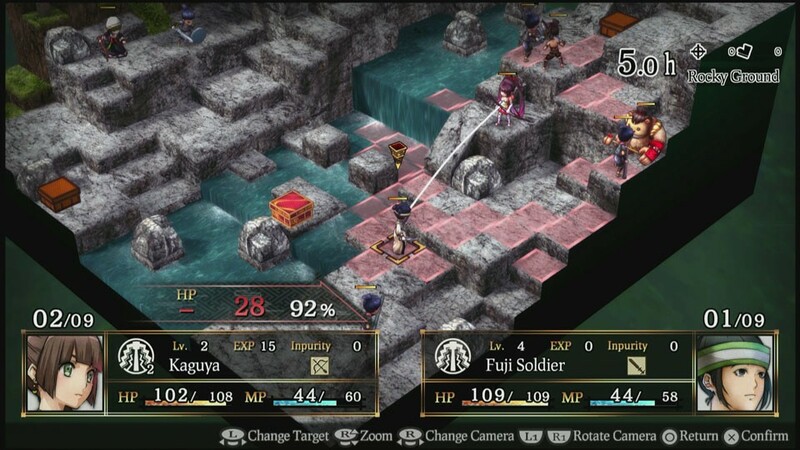 Tactical RPGs are plenty, but ones capture the feeling of Final Fantasy Tactics are rare—yet God Wars: Future Past feels almost like a spiritual successor. It’s got a battle that’s similarly tactical without suffering the feature creep you often see in modern SRPGs. It’s got an expansive job that makes grinding enjoyable, along with a wide selection of side quests to explore. Perhaps more important, it’s got a charming story—one that’s both familiar and refreshingly unique. God Wars: Future Past draws on Japanese mythology and folklore to weave a tale about Japan’s mystical early days, long before the Edo period that we see in so many games. An ukiyo-e art style brings all that to life beautifully, making this one of the most enchanting games of the year.